I have forgotten how much I love Moroccanoil Treatment. I haven't used this in a very long time and I should not have stopped. I have to use leave in hair products. I don't think my hair can be manageable without it. Lately it has become mandatory especially since I did some damage to my hair with a curler. It has taken me over three months for my hair to be almost back to normal. I love the nutty scent and my hair just soaks it up. It said you only need a small amount... only if you have shoulder length hair. My hair is down to my waist so I need a bit more. You can apply it on either dry or wet hair. I think it is better to apply it in wet hair to help it spread more evenly. It does not leave any residue and once my hair is dry, my hair feels soft and silky. I think you will be impress that it works on thick course Asian hair. It is great for all hair types. I'm pretty sure that you are correct that applying it to wet hair would help to spread it more evenly. This really does sound like a great, luxurious product when we need and our hair a bit of TLC. 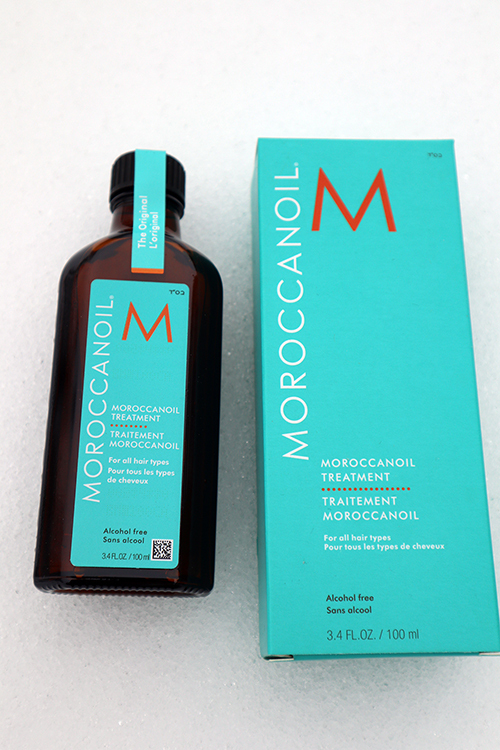 I like Moroccanoil, I use it almost every day, my hair like revive! So is this Moroccan oil treatment like a leave-in conditioner?